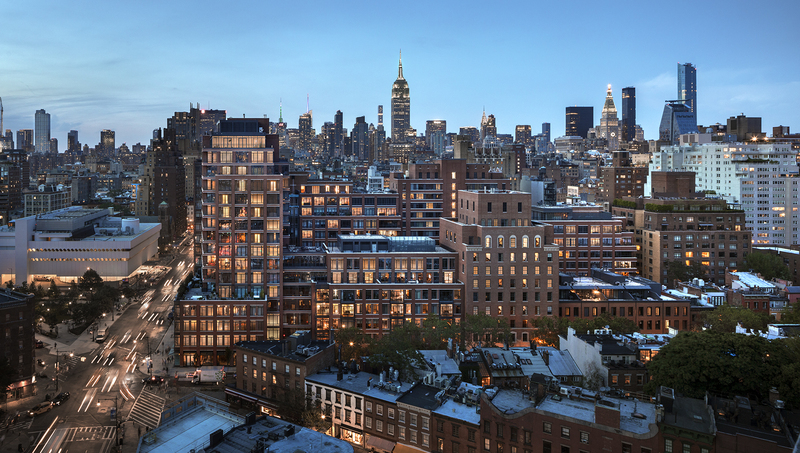 The Greenwich Lane encompasses five unique addresses in the heart of the West Village, from spacious single-family townhouses, full-floor city homes, and gracious pre-war-inspired apartments, to a 17-story contemporary tower – featuring a total of 199 residences. 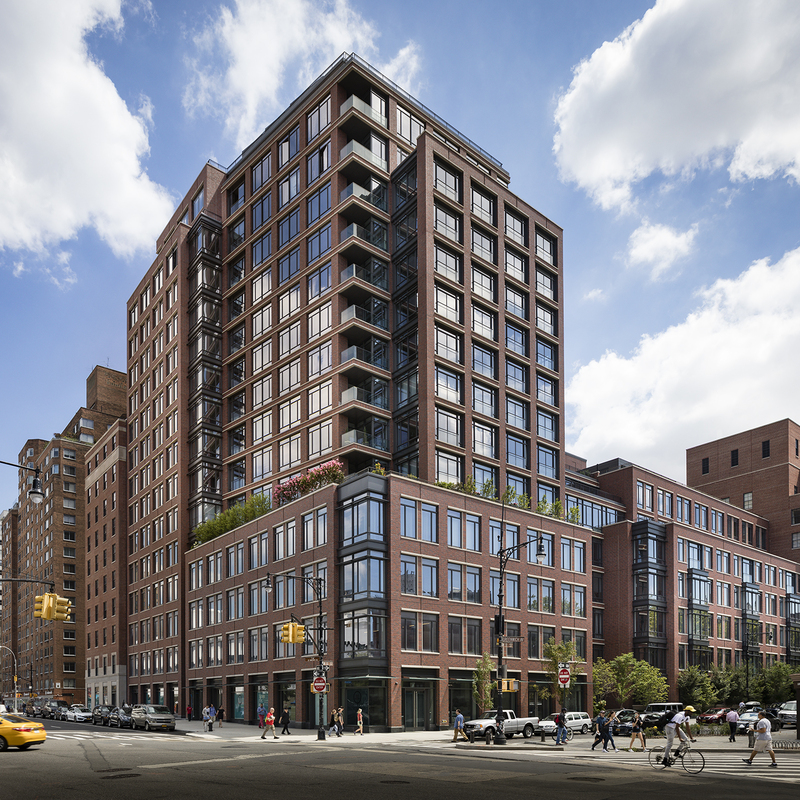 Revitalizing the city block between West 11th and West 12th Streets, architecture firm FXFOWLE has created a combination of historic restoration and new construction, all with full LEED certification. 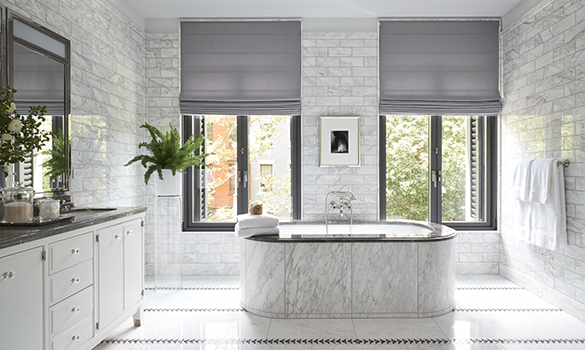 Every home features interior designer Thomas O’Brien’s blend of modern luxury and old New York glamour. 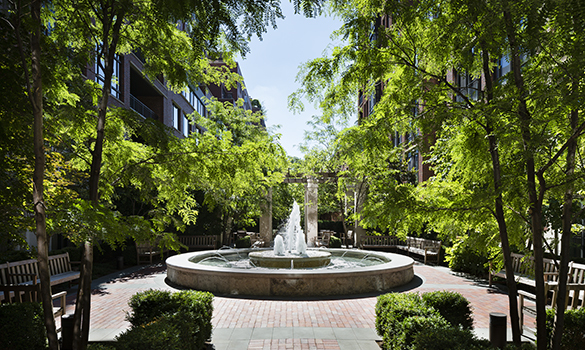 Each building has access to a large, private central garden designed by M. Paul Friedberg & Partners. 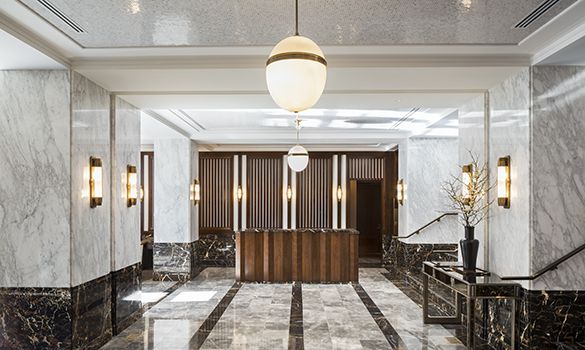 Other amenities include a private dining room, guest chef’s kitchen and separate catering kitchen, a 22-seat screening room, and a wellness center designed by The Wright Fit, including a 25-meter swimming pool and a golf simulator. 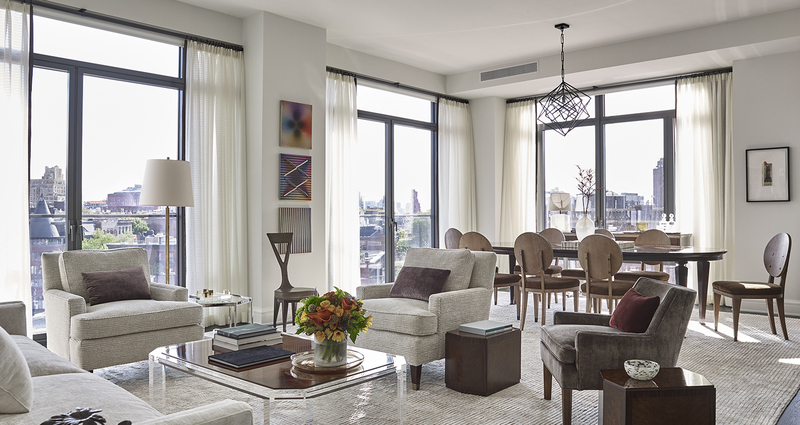 A children’s playroom designed by Roto Group is provided for the youngest residents. The complete offering terms are in an offering plan available from the Sponsor. File No. CD13-0081. Equal Housing Opportunity.